BLOWOUT SALE! 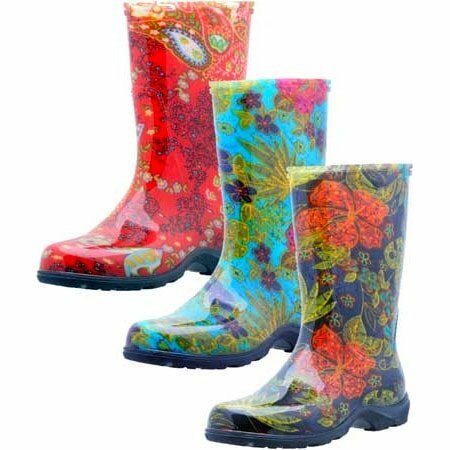 Whether you’re running your puppy down to the corner coffee shop or you’re ankle deep in mulch, this is your boot! Sloggers Rain Boots are American made, clever, durable, affordable and adorable! It’s a terrific combination. It’s a simple and practical need but Sloggers has incorporated a lot of smart features that matter in your day-to-day use. • The lip at the heel makes it easy to toe them off, hands free! • Gorgeous Italian-styled patterns are incorporated right into the resin so they can’t wear or scrape off. • The combination of a premium high quality open cell polyurethane insole and Half Sizer Insoles allow for longwearing comfort and customized sizing. The material includes a biocide that deters growth of fungus or odors. 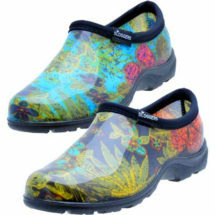 Terrific for all around wear and enviably stylish, you’ll find yourself making excuses to put them on. 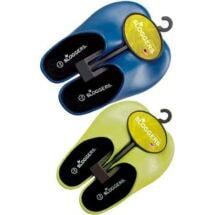 Half sizes order up and have the option of using the Half Sizer Insole for a snugger fit. 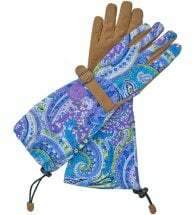 Elbow-length cuffs in designer paisley patterns offer you plenty of protection. 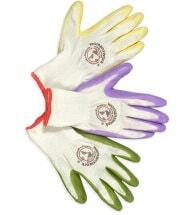 Nitrile coating is non-latex rubber for a delicate finger feel and excellent grip. We give them a 5-star review for their personality and easy, step-in design. These classics are lightweight, affordable and American made! What’s not to like?